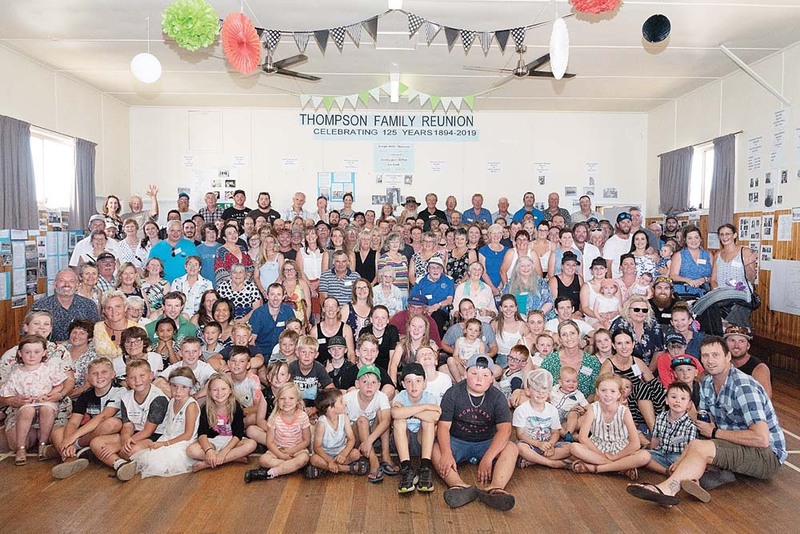 FAMILIES descended from the original French Island Thompsons flocked to the Tankerton Memorial Hall for a 125th reunion. 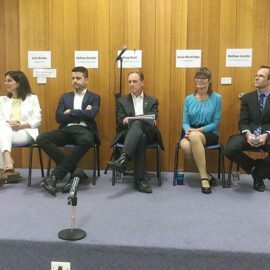 More than 230 family members from New South Wales, Queensland, Western Australia, the Northern Territory and Victoria took the ferry across from Stony Point and were picked up by bus on the island, Sunday 3 February. 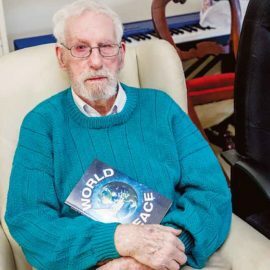 Some came across from Corinella, with their vehicle on the barge, and planned to stay several days to catch up with family members from further afield. The day capped off 18 months of planning by organisers Joan Shepherd, Lois Airs, and Carol Lake – grandchildren of Joseph Edmund (Ed) and Margaret (Maggie) Annie Thompson (nee Broderick). They had lots to talk about: 125 years ago, Joseph Henry Thompson came to French Island with his son Joseph to make a new life for his family. He had arrived at the port of Adelaide in 1860 at the age of 13 accompanied by his brother and sister-in-law, Cephas and Mary Ann Thompson, and their three-year-old son George. Thompson worked for a time at Islington railway works in South Australia, later moving to Melbourne with his own family of Ellen Elizabeth Keyte (nee Wilton) and their children. In 1893 he took up a government offer of land on French Island, cleared the scrub, built a home and tried to provide for his family in what was an inhospitable environment. In 1894, his wife Ellen and their children Martha and Richard Wilton, Cephas, Mary Selina, Walter, Eliza Anne, Ellen Elizabeth and William Thompson, arrived to begin their new lives. 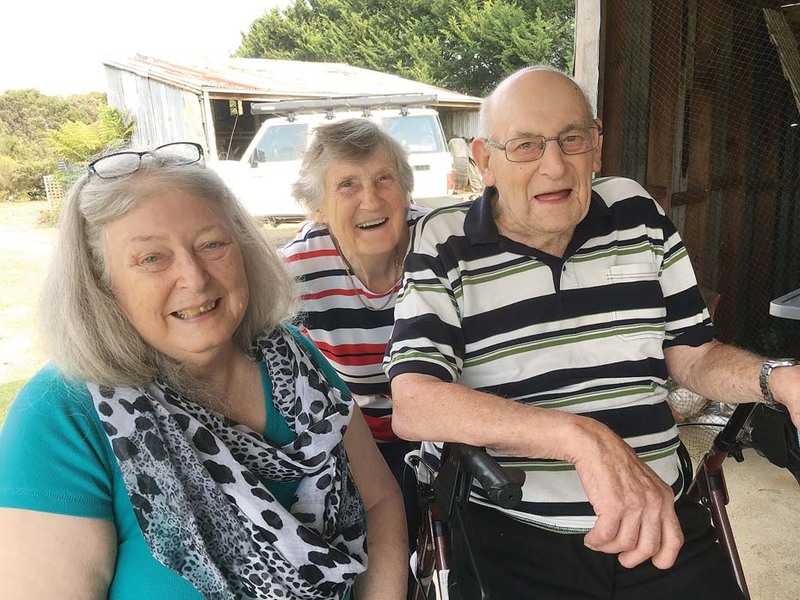 Direct decedents who still live on French Island include Rose Scott, 87, the youngest daughter of Joseph Edmund and Maggie Thompson. Another of the couple’s children, Cyril Thompson, 90, made the trip over on the barge with help from his daughter. “So many smiles, handshakes, cuddles, tears and stories were told and shared throughout the day,” Ms Lake said. Family members took a bus trip to the original Thompson Homestead at Long Point. It has been fully restored and is now the Hatton family’s French Island vineyard. Inside the hall was a display of memorabilia, with something from all of Joseph Edmund’s children’s families. These included a piano-accordion and mouth organ played at many dances at the hall, a chainsaw used by Joseph Henry, a kitchen table made by Joseph Edmund for Maggie when they married, many of her cooking utensils, small farming implements, numerous ornaments, and personal items, such as clothing, bibles and school books. A specially designed hat pin commemorated the day and the book written by Ruth Gooch – Frontier French Island was for sale. A raffle prize was a one-of-a-kind plate painted and donated by a family member. Individual family trees were displayed on the walls of the hall along with many other photos, information and stories, such as birth certificates and immigration records, maps of the seven settlements in the 1890s, education and schools, industry and transport. On display outside was a trailer full of old milk and cream cans, home-made spades and period farming tools. Also outside was a portable fire drum, bellows and chicory bag dumper. The hall committee ran a sausage sizzle and provided hot and cold drinks throughout the day. Family members provided a plate of something home made for morning and afternoon tea. A time for reflection came when a memorial outdoor seat was unveiled in memory of the late Connor (Fatz) Thompson. 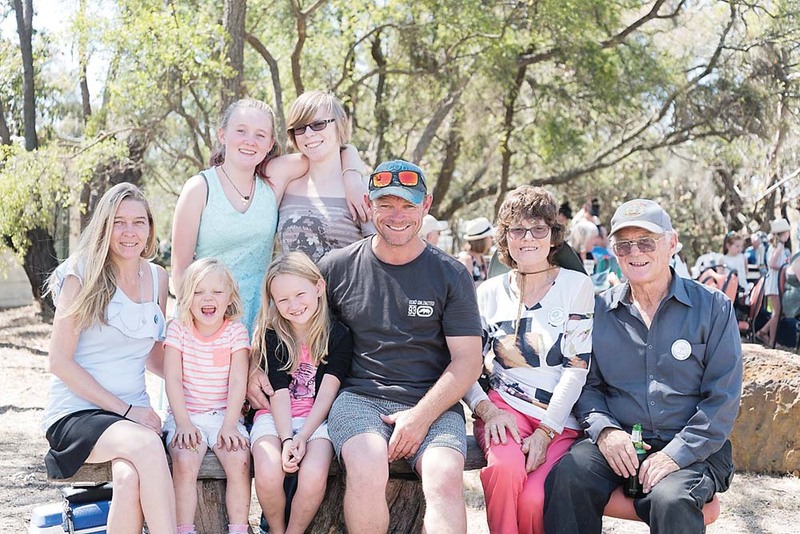 The Thompson Family of French Island history will be open to view on Saturday 23 February – the same day as the Pink Stump cricket day. Details: Lois Airs 0412 671 241.